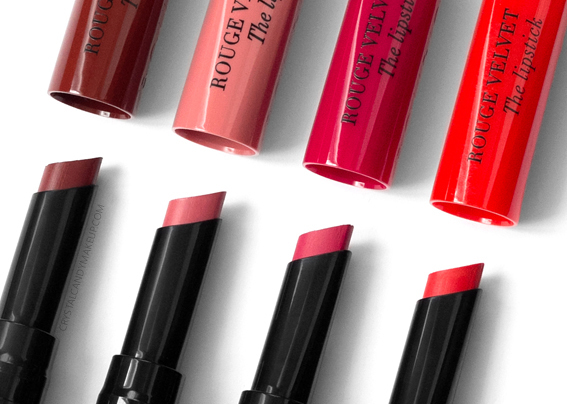 Bourjois' new Rouge Velvet The Lipstick range is now available in Canada! Available in 12 highly pigmented shades, these matte lipsticks are supposed to be comfortable on the lips and last up to 24 hours! This is a very unique formula ; it glides on the lips like butter but it sets to a matte finish. It doesn't budge or smudge, it has the longevity of a matte liquid lipstick but it applies like a regular lipstick. I find it less drying than a liquid lipstick, too! In term of color payoff, the 4 shades I've tested out are extremely pigmented and completely opaque! They aren't patchy, but Flaming' Rose tends to settle into lip lines, so I suggest to smooth it out with your fingertips until the product is completely dry on the lips. Ok so these lipsticks are supposed to wear well for up to 24 hours, and they definitely didn't last that long on me. The staying power is excellent though, Flaming' Rose wore well for 6 hours and the other three colors lasted 10 hours on me! They are pretty much transfer proof, but they will smudge a bit if you eat a greasy meal. 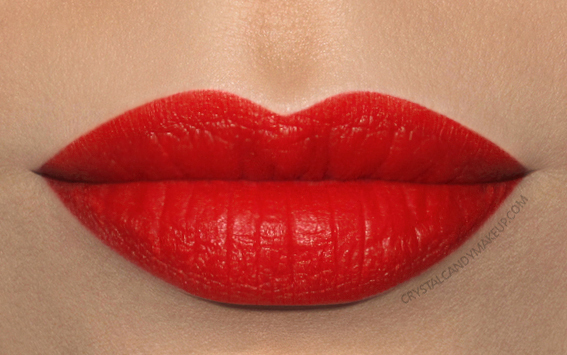 The good news is that you can easily apply more lipstick without wiping off the 'old' lipstick. It doesn't look crusty or flaky, the new coat fuses perfectly with the old layer! 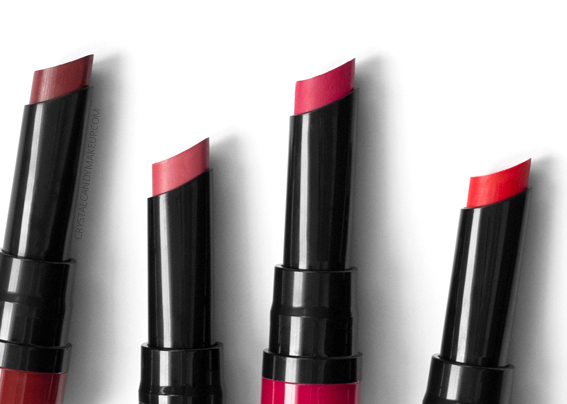 If you love matte lipsticks, I highly recommend these new Bourjois lipsticks! 02 Flaming' Rose is a english rose with a matte finish. 07 Joli Carmin'ois is a bright orange with a matte finish. 09 Fuchsia Botté is a dark hot pink with a matte finish. 12 Brunette is a deep reddish brown with a matte finish. 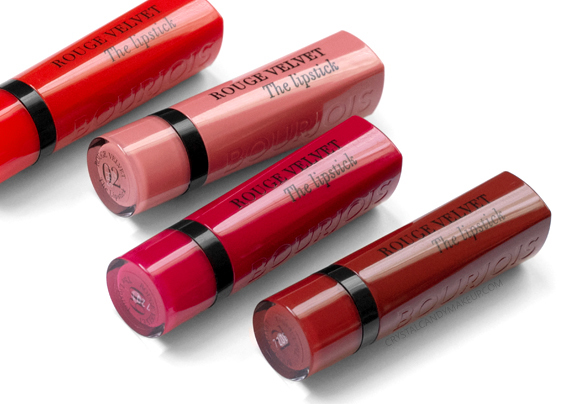 The Bourjois Rouge Velvet The Lipstick retails for $24 CAD for 2.4g and is available at Shoppers Drug Mart, Feelunique, Lookfantastic and Beautyboutique.ca. 2 and `12 are so pretty!